College Hill MB Church is a historic presence in west Jackson and is an anchor for the community. 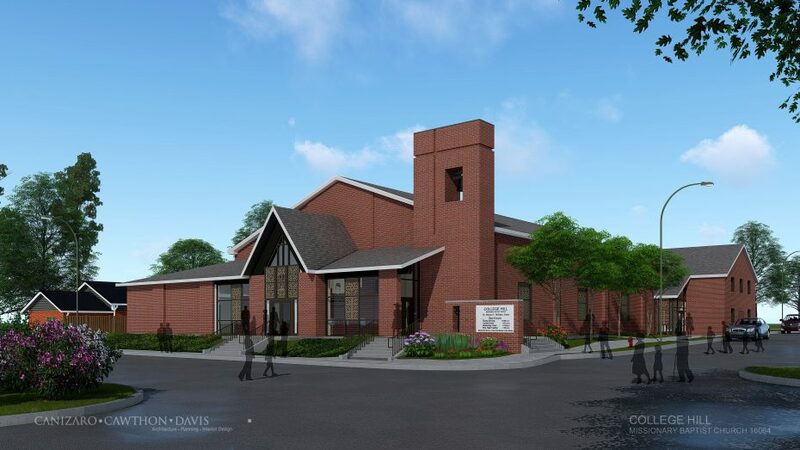 The church committed to remaining on their existing site, even though space was lacking. 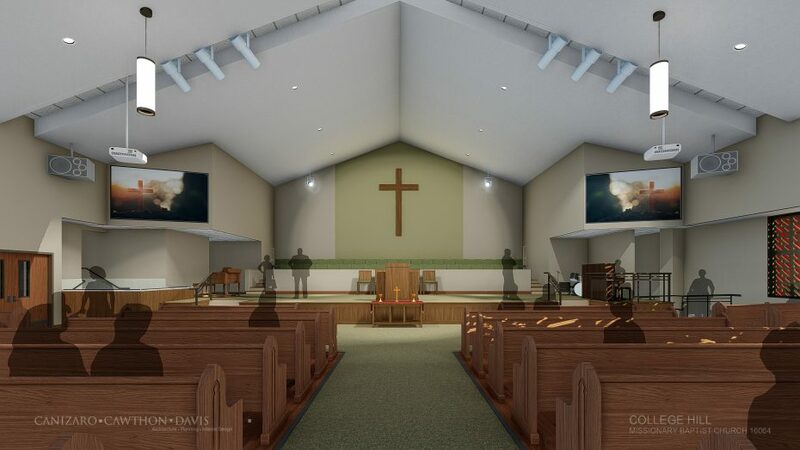 CCD worked with the church to add a new sanctuary and classroom addition, which meant removing the existing sanctuary. The architectural design fits within the traditional scale of the neighboring houses, with a bell tower accenting the street corner. The church’s existing stained glass windows are incorporated into the design. A welcome center at the front entrance opens up to the community with large windows.